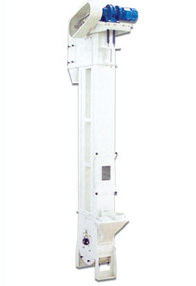 The Hercules BE Bucket elevators are the new series of bucket elevators incorporating the latest technology available in the industry. Designed to operate at lower speeds to prevent damage to the grain been processed. A unique sliding discharge is specifically designed for rice and gentle handling grain.